Been thinking about getting away from the daily grind and planning a vacation with loved ones? You can never go wrong with taking a vacation on the Oregon Coast! Whether you are renting a cabin, condo, or home, no matter what part of the coast you visit you’ll surely enjoy these vacation rentals. So pack a bag, grab your flip flops and anything else you need for vacation on the coast, Personally, some of my best memories have been renting a nice place anywhere on the Oregon Coast! 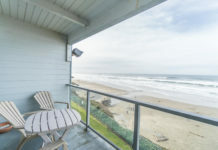 If you don’t have a lot to spend on that perfect vacation rental, today I put together a list that will hopefully help you find a place to relax on the Oregon Coast while not breaking the bank. Everything we have listed here is listed to rent for under $100 a night, with some of them requiring you to stay more than one night. A lot of these places also have gorgeous ocean views and are within walking distance from the beach! 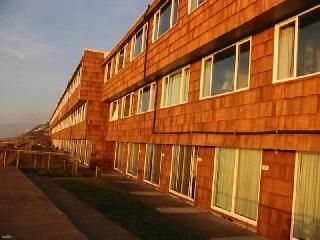 If you’re looking for an affordable and amazing rental, look no further than the Pacifica House. This cozy spot is located in Bayshore Estates, and just a hop and skip away from the ocean. This 3 bedroom, 2 bath home accommodates up to 8 guests. Please give Nancy a call at 541-968-0322, or head over to OregonCoastNow.com for availability and information on current rates. 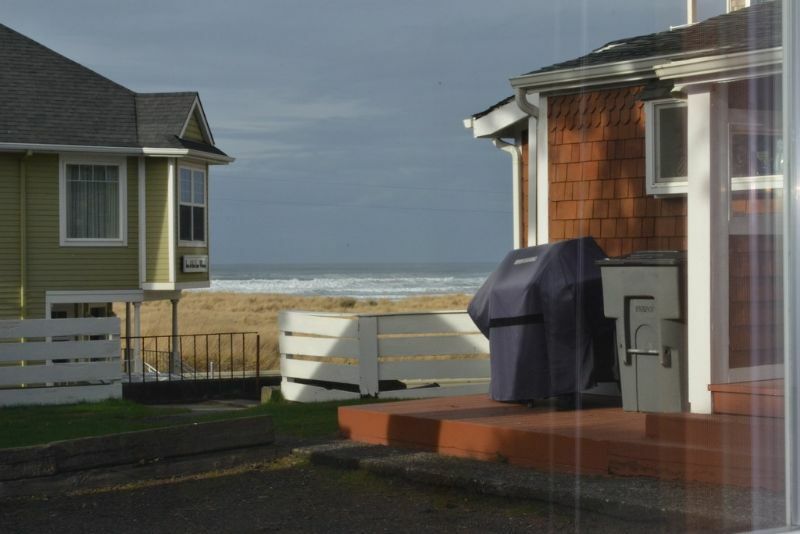 If you’re looking for a cozy vacation rental while exploring the beautiful Central Oregon Coast, the Waldport Cape Cod cottages will suit your every whim. 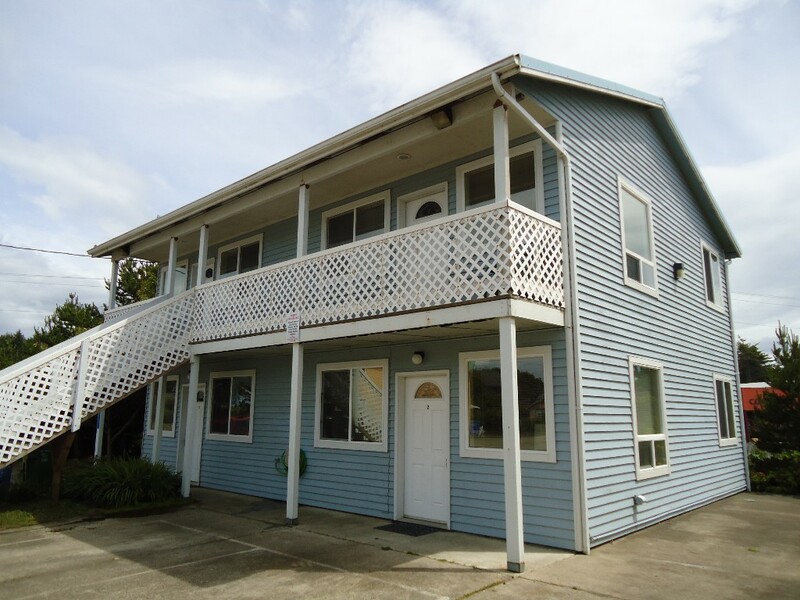 Comfy, intimate, and right on the beach, these Waldport vacation rentals are the perfect size for a couple’s retreat or a small clan gathering of your nearest and dearest! Avg. nightly $83, for more info click here. Come enjoy a delightful coastal getaway with a visit to this compact, bright, and welcoming beach cottage in Cannon Beach! With a great location just two blocks from the sand, a pet-friendly attitude, and a sunny and relaxing interior, you will surely love this home. Located right in Cannon Beach, within a mile or two of this cottage you will find numerous restaurants, shops, and galleries that will keep you busy exploring the town. And with easy beach access just two blocks away, you will enjoy building sand castles, flying kites, beachcombing, and walking on the coastline. The iconic Haystack Rock is a quick half-mile stroll north on the sand, so be sure to visit one of the coast’s most famous natural attractions! Avg. nightly $73, for more info click here. At Seashell condo you will be able to enjoy the many moods of the ever changing Pacific Ocean. From your 3rd floor vantage point you have an awesome white water view! What could be better than sitting on the deck in the morning enjoying a nice cup of coffee or curling up in a comfy chair with the fireplace burning and the waves crashing outside? 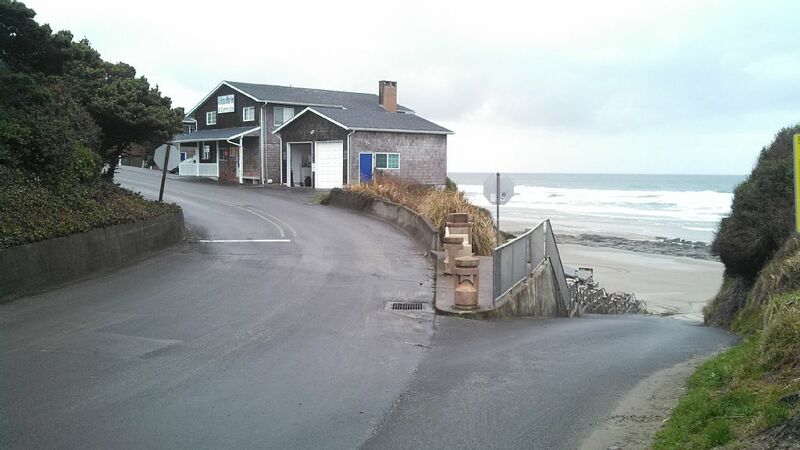 Seashell condo is ideally situated for you to enjoy all the best that Lincoln City has to offer. Avg. nightly $75, for more info click here. Sand Dollar Cottage is the perfect romantic getaway cottage. 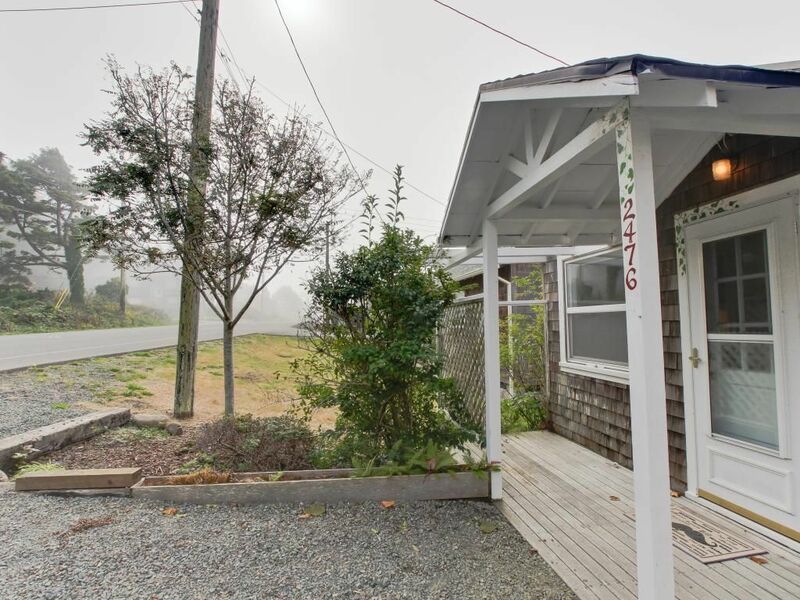 This ocean view cottage has 2 comfy queen beds, toasty fireplace, relaxing whirlpool tub, and a convenient full kitchen complete with wine glasses. The property is pet friendly and just 1 block to the beach, close to the promenade and the downtown area. You also have the option to rent it along with the Sand Dollar House for a group of up to 15! Avg. Nightly $95, for more info click here. 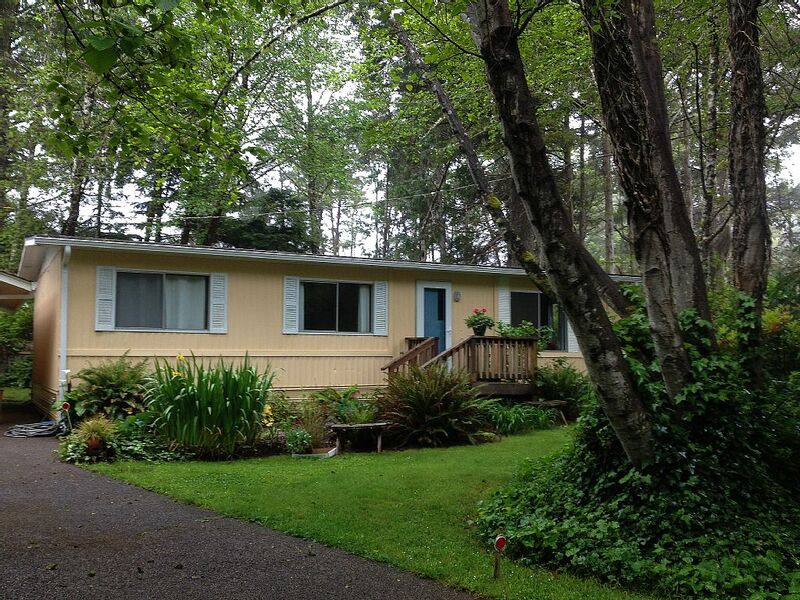 Looking for a cozy vacation rental on the Oregon Coast? Consider the Sunset Suite at Otter Rock’s Alpine Chalets: with space for up to four guests, this charming retreat offers unbelievable ocean views and all the comforts of home for a very attractive price. The suite is a studio, with an open floor plan encompassing a living area, kitchenette, and bedroom nook. The living area has comfortable armchairs, and jaw-dropping views of the ocean through the ample west-facing windows! There’s a TV with VCR, DVD player, and cable for movie nights, and a four-person table for playing board games or jigsaw puzzles. Avg. nightly $70, for more info click here. 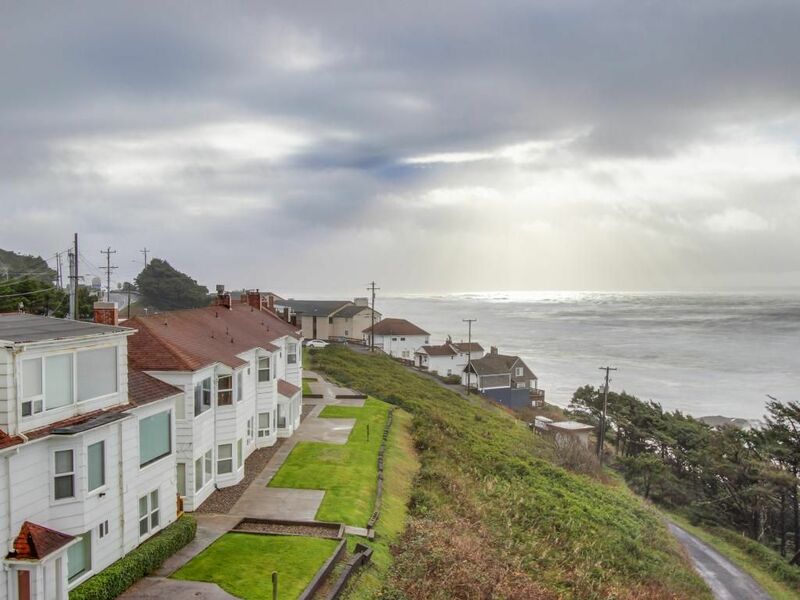 Wide, sweeping ocean views and fantastic sunsets are yours in this lovely area of Oregon’s central coast. Just a quick walk to Silver Sands neighborhood steps to the beach to enjoy! This two-bedroom vacation rental is newly updated for you and your family. This affordable lodging allows you to splurge on other local treats. Nestled in a wooded setting, in a quiet, peaceful neighborhood between HWY 101 and the beach, ‘My Cousin’s Cottage’ is freshly painted, carpeted, renovated and decorated with plenty of high-end art, and interesting antiques. Treat yourselves to this quiet retreat away from jangling phones, TVs and other electronics. A sanctuary-like comfortable space with natural woodlands surrounds you as you enjoy the quiet back deck with your morning coffee and conversation or just a good book. In the evening, a lovely glass of local wine or microbrew could accompany the yummy seafood from the abundant ocean ports just minutes away. The master bedroom, with its 1800’s antique walnut bed, features a small private bath and a large walk-in closet. You’ll love the casual, eclectic assembly of fun, interesting furnishings and art. The guest bedroom has a queen size bed, large closet and large tub/shower bath across the hall. Avg. nightly $98, for more info click here. 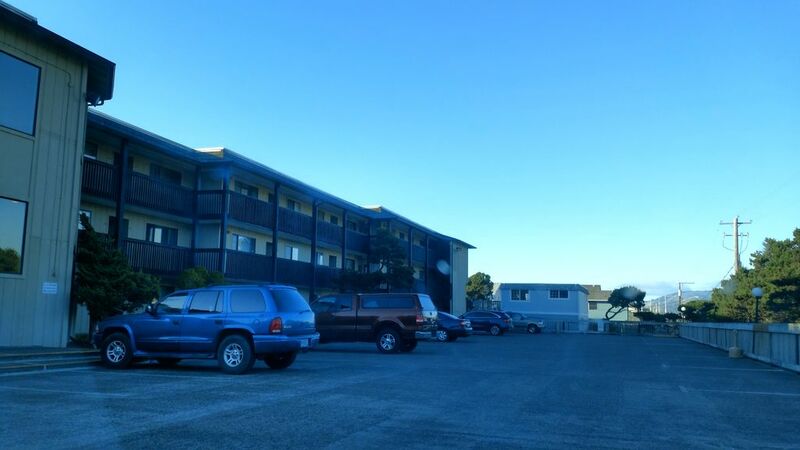 With a spectacular location close to everything Lincoln City has to offer, this pet-friendly studio unit in an ocean-view complex has it all! Walk to the beach, or hop in the car to explore the beautiful Central Oregon Coast. This romantic suite includes one king-size bed, a kitchenette, and space for two guests. It’s on the main level, so it’s easily accessible from the parking lot for those who may have trouble with stairs. Avg. nightly $51, for more info click here. What was once The Sea Gypsy Motel is now all privately owned condominiums. The 3rd floor oceanfront condo was completely remodeled in 2015. Living on the top floor (3) means nobody is walking on your ceiling and you have a million dollar view of the beach and the Pacific Ocean. They have done a complete tear down remodel and replaced everything from ceiling to floor (and even the walls). All of the furnishings are brand new – high end. The kitchen has new cabinets, new stainless appliances, and granite counter-tops. 2 night minimum on all weekend (Friday or Saturday) reservations. Avg. nightly $80, for more info click here. 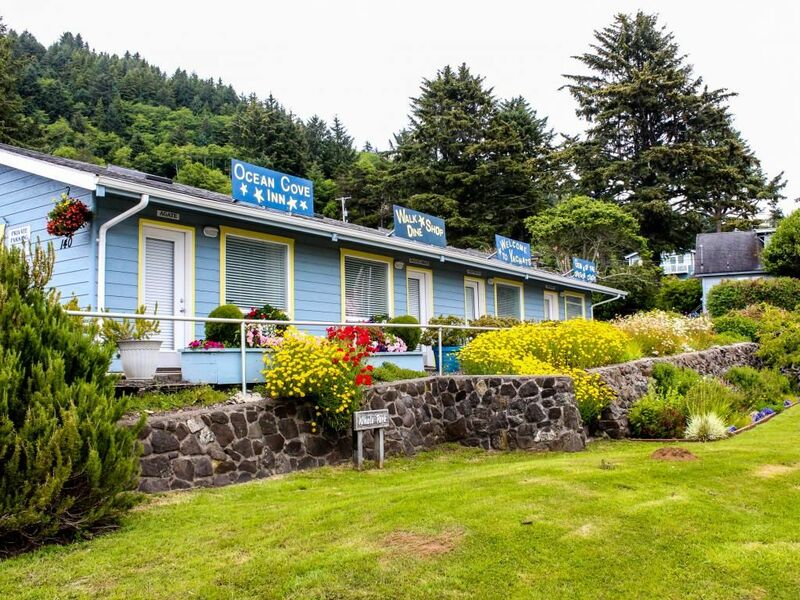 Perched on a gentle slope just above the bay, the Ocean Cove Inn offers a selection of charming rooms near the infinite blue waves of the beautiful Pacific Ocean. 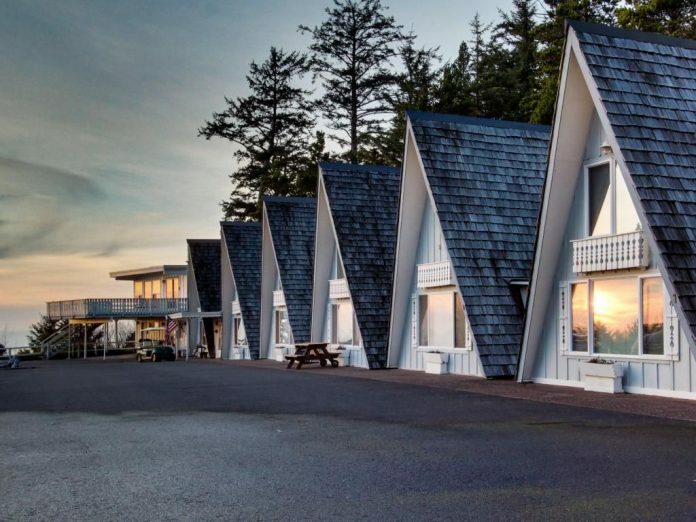 Light and airy and decorated with darling beach-style decor, let this endearing coastal inn offer you sweet respite during your next getaway to Yachats! The Alsea room is located in the upper building, which sits on the southwest slope of a small hill facing the Pacific Ocean. Sliding French doors open onto a common deck with individual seating areas so you can relax and enjoy the view. This room is accessible by exterior stairs or a ramp. Avg. Nightly $57, for more info click here. The Weatherly is chic, spacious, and very clean. 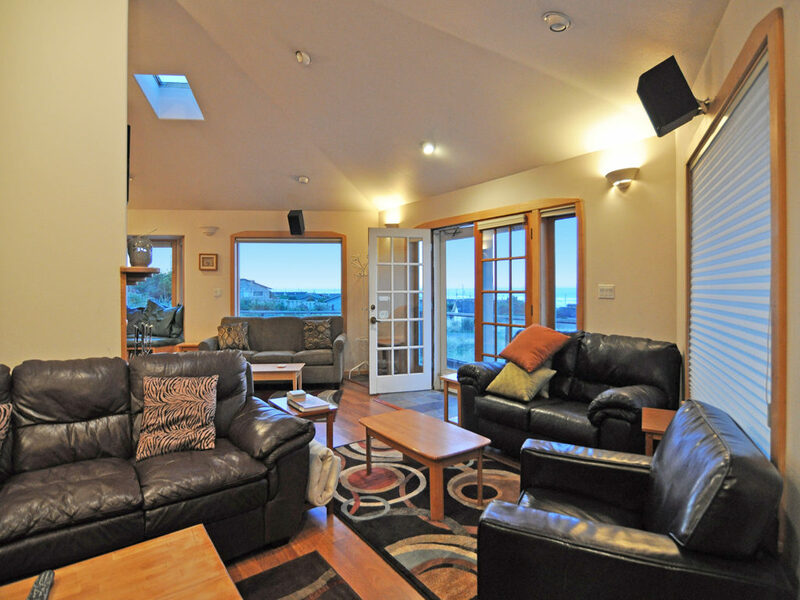 The front room is welcoming with its gas fireplace, ocean balcony, and comfortable seating. The kitchen has all appliances and conveniences to serve a full meal or a snack. It is on the top level, so nothing spoils one’s enjoyment of the ever-changing tides and surfs. The comfortable bedroom has a queen bed, dresser, nightstand, and light. Plus a chair for some secluded reading before bed! 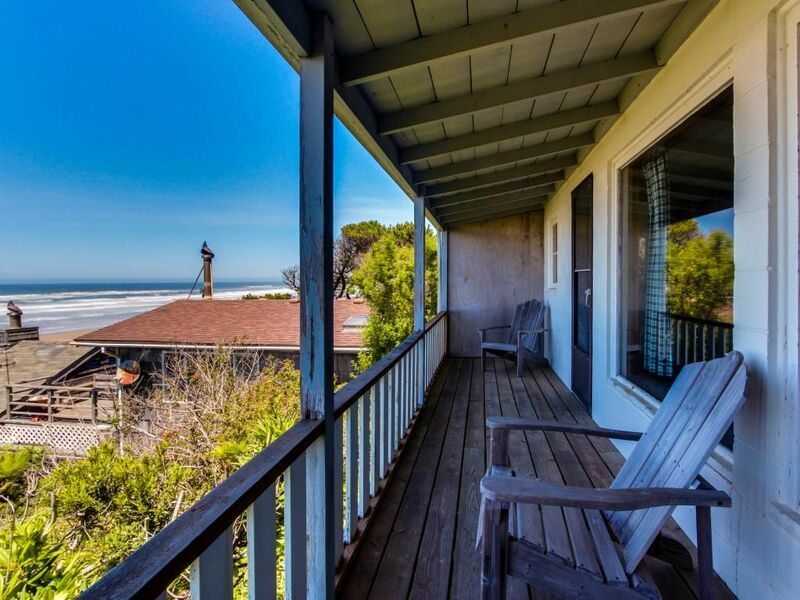 It’s very easy to step outside and walk around to the edge of the lawn and enjoy the ocean air and sights, downlooking from the bluff to view the tide pools and people on the beach below. Avg. Nightly $74, for more info click here. Located on Yaquina John Point, Beachside Suites is central to all major attractions. Just south of the property are Governor Patterson state park, Cape Perpetua, Heceta Head light house, and Sea Lion Caves. Just north are Seal Rock, Oregon Coast Aquarium and Newport light houses. Guests enjoy access to seven miles of smooth, sandy beach. Walks are peaceful, since the beach is semi-private. Many rare birds can be seen on the beach. Whales can be seen just off shore, migrating north or south. Harbor seals swim in the water near the beach. North of the property is the Alsea river which offers fishing and hiking opportunities. There are restaurants, grocery stores, and numerous shops, just one mile away. There is a golf course one mile southeast. A convenient visitors center is located one mile north. There you will find hundreds of brochures with helpful vacation ideas. Returning guests comment on the small-town atmosphere as a major reason for their return. Avg. Nightly $65, for more info click here. 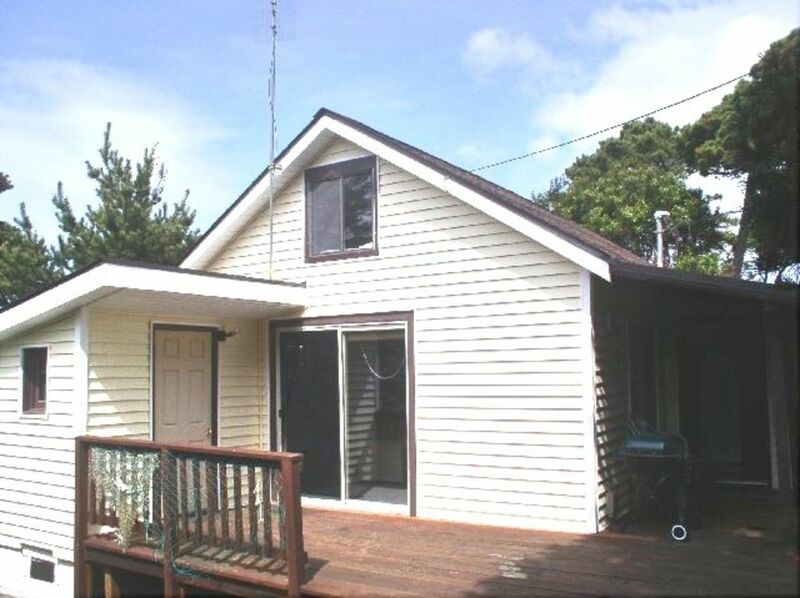 This private cottage is located just two blocks from the crashing waves of Heceta Beach, in Florence, Oregon. From here guests will be able to see everything the Central Oregon Coast has to offer. Several trails are also nearby, as it’s a short stroll to the ocean on one of several trails. Avg. Nightly $71, for more info click here. Next articleNo, Justin Bieber is NOT moving to Sandy, Oregon! These places look terrific! We love the Oregon Coast. You know that Oregon has a coastline that goes all the way down to California, right? You completely ignored the beautiful and temperate southern Oregon Coast. Beware the Cape Cod cottages; they are amazing, but their fees (booking fee, cleaning fee) bring the prices up to double what you think they will be. They aren’t less than $100 when you factor that in. A $279 three day stay costs $490. :-/ They put them in here twice, too, number 1 and 6. Any suggestions for families with more than 2 kids? Most (all?) had a maximum capacity of 4. Sea Haven is AWESOME! Definitely recommend them. My family has stayed there multiple times. That’s good to know. I wouldn’t want to travel that far and be disappointed! Try Haystacklodgings.com as we have used them many times if you are going to Cannon Beach or Seaside areas. or try http://www.traveloregon.com and look at the lodgings listed there. It is Oregon’s website. I have used it to find lodging on the coast. I like VRBO.com. You can read reviews and find just what you want. Most will be over $100 per night, even with some of the ‘cozy’ 2-4 person cottages. If you go weekends and holidays it will be more expensive. To find a good deal I suggest booking or browsing in advance, sometimes they’ll tell you different seasons have different prices. The coast is beautiful year round. As cool as it is in the summer compared to eastern Washington, the winter storms are cool too, and there is usually something in season for fishing! Though I think summer is your best bet for a fishing charter. You definitely want to book that early, and most are good about refunds and rebooking should the weather turn foul. If you want to spend less on a cottage most have a lot of space for multiple families who share in the cost of rent. So each family would spend $25-$75 per night at some places. Prices are not even close tonaccurate. Your $65 has it listed as $107 average. What about The Irish Cabins in Gold Beach? I love it there! Stay every chance I get. Pets are welcome also. Wait….forget I said anything. I don’t want it hogged up so I can’t go. Yea, don’t go. You’ll hate the rustic cabins with their own private fireplaces and provided firewood…and the hot tubs on a deck out over the beach. It’s not relaxing at all or beautiful even at night. Not to mention hearing the ocean even through closed windows because you are that close. Yea don’t go. I’ll keep it all to myself just to save you from all of THAT!